Our fully equipped and spacious houseboats are powered by Westerbeke 12K generators and reliable, fuel-efficient inboard/outboard Volvo Penta engines with stern drives. Our factory trained mechanics thoroughly inspect each boat prior to departure. You will find our houseboats easy to drive. No special license is required. 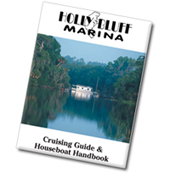 A trained instructor will teach you how to operate the boat when you arrive at Holly Bluff. 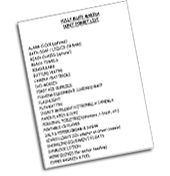 Please see each rental houseboat page for detailed list of onboard inventory.